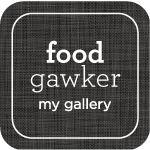 …happy one year of baking and blogging! and I have to admit, I bake more then I publish. One of the very most impressive cakes I’ve seen so far, was a rose cake from I am Baker. And I always wanted to make one. So I did for that special day, but I definitely need more rose piping practice. I want to say thank you, to the little community of readers, thanks for the comments, the “likes” and thanks to my honey husband for trying each cake and supporting me so much! I love you! Die Torte sieht ganz toll aus. Ist das Teigrezept vom 4th of July Kuchen ? Danke! Ja, das ist das Rezept vom 4th of July Kuchen. Happy blogging and baking anniversary! 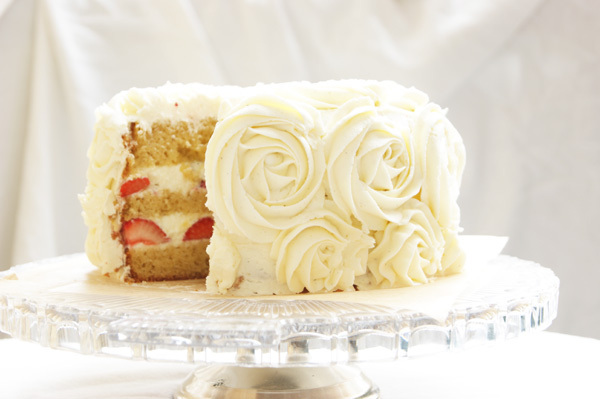 This looks incredible, and strawberries and cream and sponge was always my most favourite cake growing up. Can I ask which brand of whipping cream you used? Thank you!! I used a lactose free whipping cream, forgot the brand name, but you can get it at the store around the corner starts with a T. 😉 . It’s not Minus L. Plus I always use “stiff maker powder” it’s called “Sahnesteif”, you can find it in every baking section. Die Maama gratuliert auch ganz herzlich. das ist wahrhaftig eine wunderschöne Jubiläumstorte. I just found it, and your pictures are so pretty! What camera do you use :)? Oh this cake is BEAUTIFUL! Its perfect it really is, and im pretty sure it must taste scrummy too 🙂 Happy blogging anniversary! Thank you! This is where I saw the rose cake, too and always wanted to make it. It’s not super easy but you should try it! 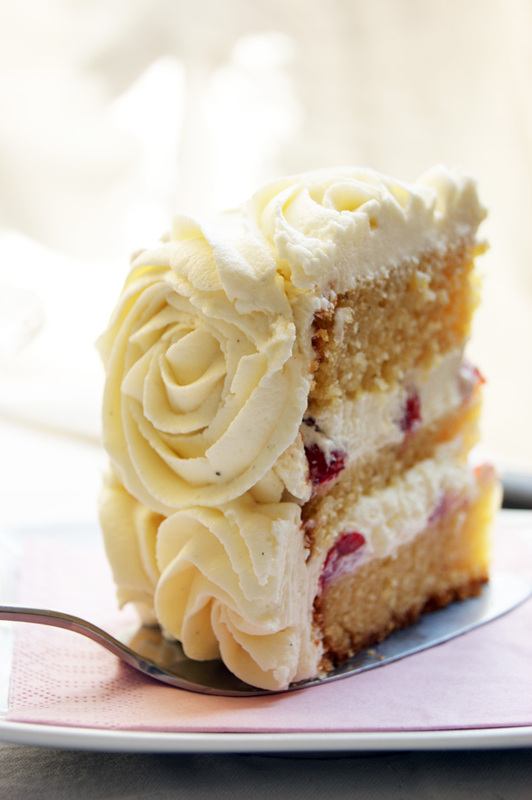 I’m very happy to be seeing this luscious cake post…just beautiful. happy anniversary!! Great cake choice to celebrate your one year anniversary! 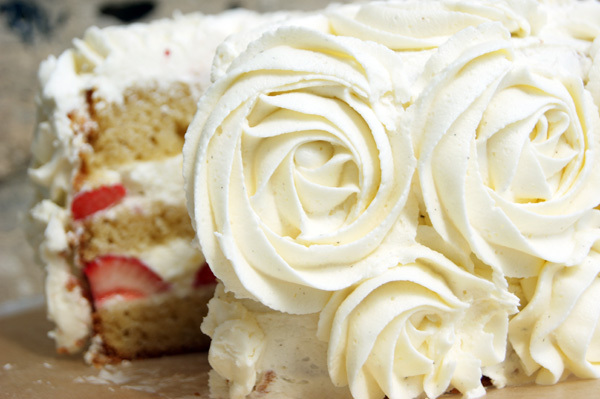 The roses on that cake are A-M-A-Z-I-N-G!!! 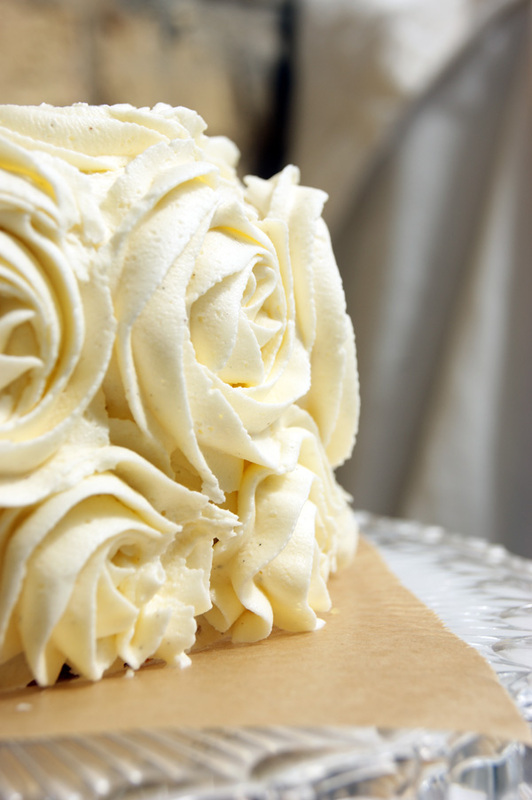 I can’t wait to give this cake a try – the recipe, because there is no way I can make roses that awesome. I might give it a try, though! What a gorgeous cake! And happy blogiversary! Next post: Baby Shower Mini Cupcakes!